Spread the love with this M.E.I.N. exclusive tumbler. 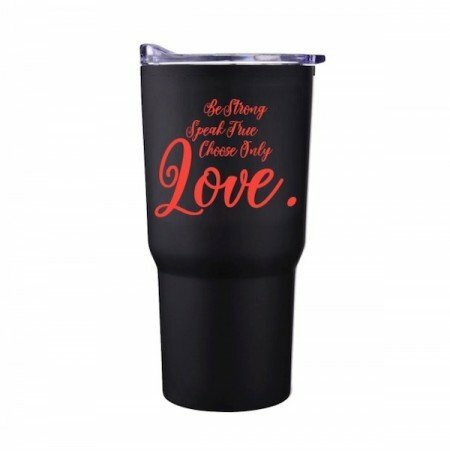 Black with ME’s logo on one side and her mantra “Be Strong, Speak True, Choose Only Love” on the other. Tumbler is 20oz and made of stainless steel.